National Geographic Field Guide to the Birds of North America, 6th Edition contains the most all-new material since the first edition was published more than 25 years ago. 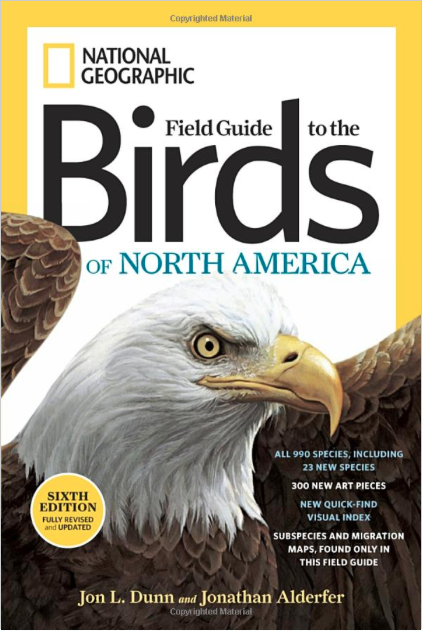 The latest edition will include 300 new art figures; unique subspecies maps never before seen in a field guide; extensive migration information overlaid on species maps; field-mark labels on all artwork; text updates to include new species; reorganization reflecting taxonomic changes in the bird community; organization, readability, and increased page count with a fresh new design. I have been using this book for years. I have several editions.